Bob Nichols was a visionary who knew that in America, dreams can come true if you work hard and never give up! When he got out of the Marine Corps in 1958, he had no car, no money, and some would say no future. What he did have was a dream of being successful and the willpower to make it happen. He borrowed ten dollars from his mother and with the help of Orville "Ducky" Love, an Indianapolis car dealer who sold him a car, a Curtis key machine, some key code books, and keys on credit, he was in business. Mr. Love asked him to cut 18 keys at a dollar each and became his first customer. Bob went up and down Virginia Avenue cutting keys and repairing locks all day long. His most frequent customer was Ed Clark, who was known as the used car king of East Washington Street. Mr. Clark would call Bob every morning and then he'd call him back all day long. Finally, Bob said "Ed, I&apos;m coming back so much all day long, I&apos;m losing money." Clark replied, "You should charge me a service call charge when you come to cover your costs of making a trip. How about you charge me a $3.50 trip charge?" With that, Bob was on his way. Bob&apos;s son Mike started working for the company when he was 12, cutting keys and delivering them on his motorbike. Bob&apos;s business grew so much that he opened his first shop on Shelby Street. Business really took off and his customers were impressed with his knowledge of locksmithing and safe repair. As the business grew, he and his son ran service all over the city and surrounding areas. 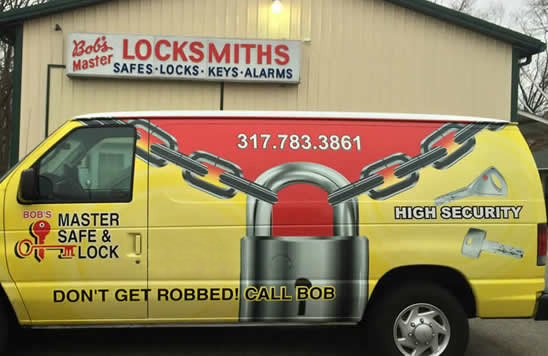 Bob adopted his slogan "Don't get robbed, call Bob!℠" and the company still uses it to this day. 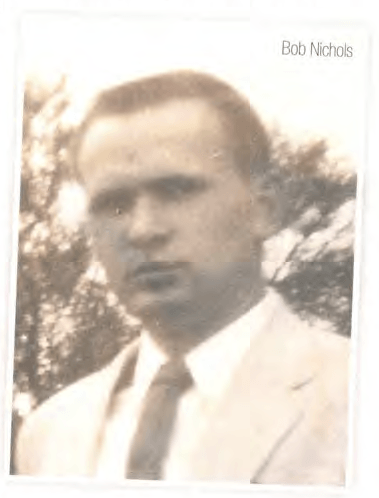 Bob and Mr. Maurice Bornman, who owned Bornman Safe and Lock, were instrumental in forming the first locksmith association in Indiana, the Associated Locksmiths of Greater Indiana, ALOGI. Mr. Bornman was the first vice president and Bob was the first president from 1972 to 1974. After a series of moves to larger and larger locations, Bob and Mike later opened a shop at 5631 S. Madison Ave. in 1981. The store featured a vehicle bay, a warehouse, and two safe showrooms. Bob later left the lock shop in the capable hands of Mike while he moved to Sevierville, Tennessee. When he got to Sevierville, he started The Golden Carat jewelry store and Nichols Properties, and became a successful real estate developer. His first love was always the lock shop. In 2013, Bob learned that he had cancer. Mike came to visit and later died unexpectedly in July 2013. Bob came back to Indianapolis to attend his funeral. Bob died three months later. The business was closed several months, and many thought that the dream had died with the passing of Bob and his son Mike. Tim Young, Bob&apos;s youngest son (who had worked in the business as a teenager) purchased the business in 2013, buying a new location at 5651 S. Madison Ave. (two doors down from the one that Bob and Mike built) and opening a second location in Fishers at 8240 East 96th St. in front of the Walmart. Tim has expanded the staff to 10 and has introduced many technological innovations into the business, such as GPS dispatching of service vehicles, as well as adding additional capabilities to the company&apos;s product and service offerings, such as access control products. 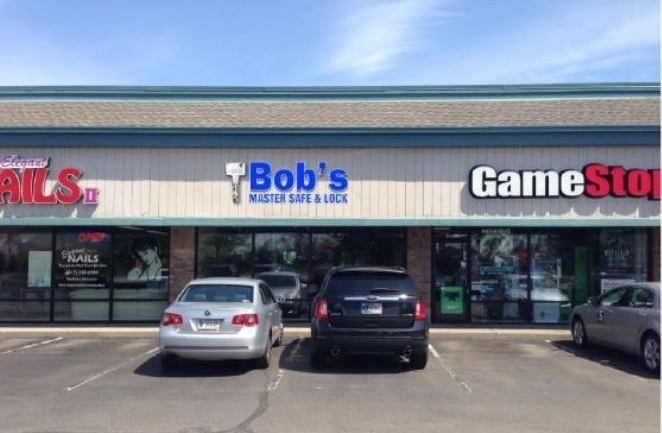 For 58 years, Bob&apos;s Master Safe and Lock Service has provided the best security hardware and services for homes and businesses at a great price. Each locations offers many types of safes, and the company&apos;s website offers an online safe store where customers can get free shipping on safes. Safe combination changing and safe opening are also offered. The company is also proud to offer restricted key systems from Abloy, DOM and Medeco...with these patent protected systems, only Bob&apos;s can cut the key, and only the customer can authorize the key to be made, saving the customer the expense of rekeying locks when employees are terminated or keys loaned out. The company can make the transponder chip and laser cut keys that are on the new cars, as well as make keys by VIN for most vehicles at both locations. The company also sells and services designer door hardware from EMTEK in both stores. And of course, they still offer rekeying and key duplication services both in their stores and in their trucks. Tim&apos;s goal is to continue Bob&apos;s vision of treating customers as family and providing the best possible products and services at the best prices, keeping Bob&apos;s dream a reality for generations to come!